Renderon designed the promotional and Identity branding DEBUT of Grupo Imagen. Based in Mexico City, Grupo Imagen is a part of a Mexican media conglomerate named ‘Grupo Empresarial Ángeles. After many meetings with the Grupo team, Renderon was finally chosen as the winning company. Grupo Imagen trusted Renderon to debut this very important branding launch. It was a smashing success and we thank the Grupo team for a great project. 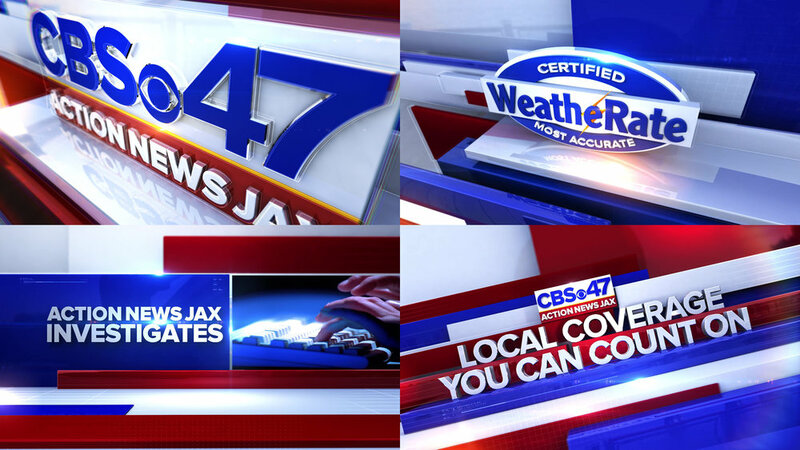 We completed a full re-brand for WJAX broadcasting from Jacksonville Florida. WJAX was looking for a contemporary branding to match the contemporary award winning journalism of the station. The package turned out great and has been a huge hit with the viewers and the ratings. Special thanks to Craig Davenport for making the project a success. Renderon designed a new branding package for Milenio TV. This was our third time working with the great team from Milenio. All in-show graphics were designed for the Viz RT graphics system. Renderon completed a full network branding redesign for Multimedios TV in Monterrey, Mexico. Based upon the dynamic Multimedios logo, the branding package consisted of dynamic animation featured in Idents and promotional graphics. Renderon designed a complete graphics and news branding package for KLAS-TV. The news package included an exciting bold design featuring, a full set of information graphics, show opens and talent idents. KLAS is a CBS-affiliated television station located in Las Vegas, Nevada, United States. Renderon designed a full branding package for KCTV in Kansas City. The re-branding included a new dynamic logo as well as an exciting news package featuring, information graphics, show opens and idents. KCTV is a CBS-affiliated television station serving Missouri and Kansas City, Kansas, in the United States. Special thanks to Tye Murphy for making the project a success. Renderon designed a complete graphics and branding package for Telediario in Monterrey Mexico. 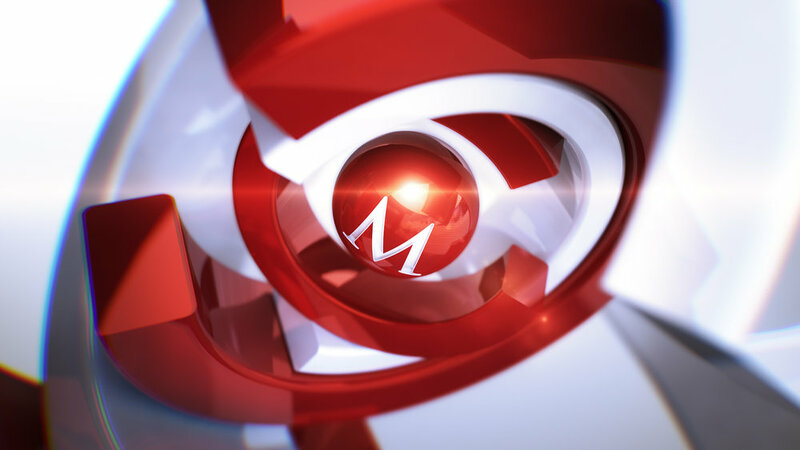 The package featured a complete set of in-show graphics for use within the VizRt system as well as idents and opens featuring the new Telediario branding. Telediario is owned by Grupo Multimedios which is a leading broadcasting and multimedia company in Mexico. Congratulations to N1 on the successful launch! Renderon worked in close collaboration with the N1 team to completely design the new network from the ground up. Special Thanks to Rusmir Nefic, Vana Henrikson and David Hulbert for making the project a great success. Renderon worked in close collaboration with the N1 team to completely design the new network from the ground up. 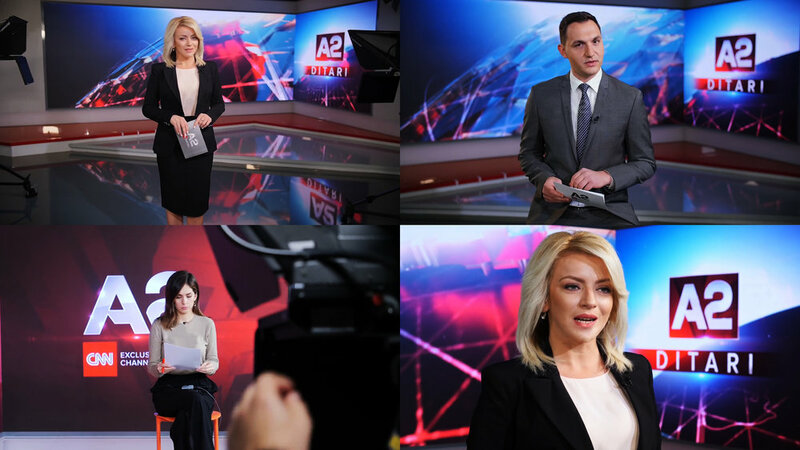 http://www.renderon.com/#/n1news/Starting with the N1 logo and network identity, Renderon then developed a complete news package with opens, information graphics, transitions and promotional graphics, not only the network itself but it's feature shows Dnevnik, Novi Dan and Pressing. The strategic branding bridges the identity seamlessly across multiple platforms, while introducing a contemporary design for an in-depth and credible news network. Bangladesh - Today marks the launch of the SATV network. SATV (South Asian Television) is a privately owned 'infotainment' television channel in Bangladesh. It is the first ever station in Bangladesh using both HD and 3G Technology. The channel is owned by SA Group, one of the largest transportation and real estate groups of the country. The iconic SATV logo and network branding was created by Renderon Broadcast Design, the leading broadcast design company based out of the United States. New Delhi: Leading Hindi news channel, India TV , has undergone a full brand refresh today. The new look has been designed by Renderon Broadcast Design, a US based packaging firm that counts FOX News and NBC amongst its clients, has given India TV an international and contemporary look and feel.